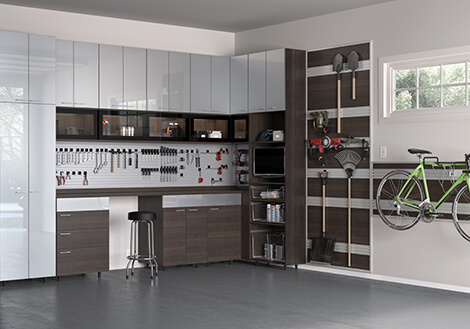 A pioneer in custom closets and home storage for Central Illinois for more than 27 years, California Closets Central Illinois has extensive experience with innovative design and use of space. Serving Peoria, Bloomington, Decatur, Springfield and Champaign, the team will work with you to meet your desired functions, aesthetic and budget. 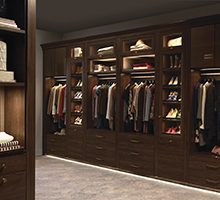 Whether you have a craftsman-style single-family home that needs custom closet design to accommodate your growing family, or your modern condo needs a wall bed to make the most out of your extra bedroom, the team at California Closets Central Illinois is expert in not only designing the perfect customized storage solution for your home, but also making it fit your style. 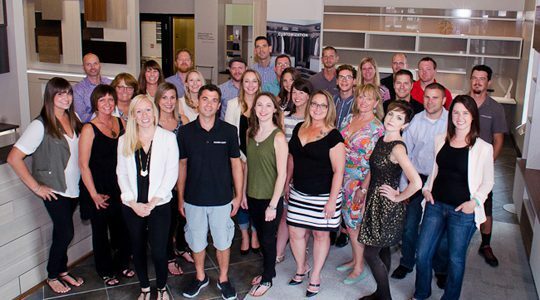 While there isn’t a showroom in this area, regional design consultants are happy to come to you. 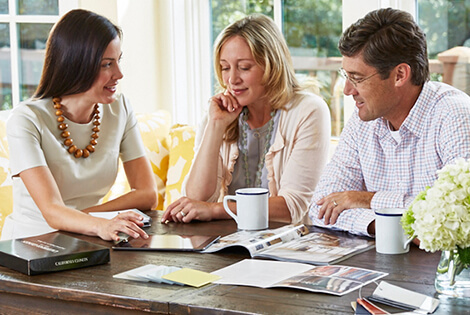 Schedule your complimentary in-home design consultation when you are ready to explore custom ideas for your space. 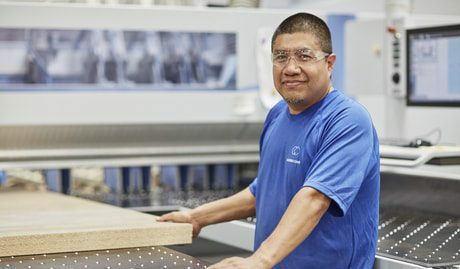 If you find yourself in the Indianapolis area, stop by the Indianapolis showroom to see, touch and feel samples of the products offered and high-quality workmanship. The process was so easy and quick. It was the best house project we have ever had done. Very professional and clean. Thank you! I contacted California Closets to get a “free estimate” thinking I would never be able to afford it..but why not? My designer came and drew me a fabulous design and it turned out to be very affordable and I got exactly what I wanted. It was just a great experience and I have an AWESOME closet! The experience was fun! The process was made very easy bymy design consultant. 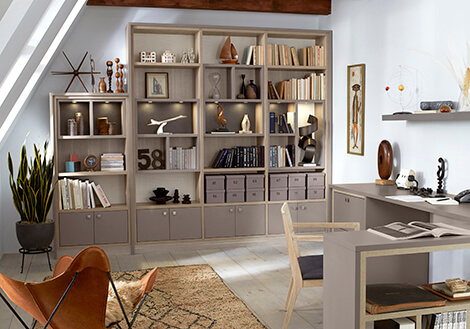 She was both professional but engaging and made the decision making process very easy for a fairly small space. Installation also went very smoothly. We love the result! Thank you! I am very pleased with the final product. The installation team did an awesome job. I am very pleased with their professionalism attention to detail and no-nonsense work ethic. Look forward to future projects. Excellent design, fair price, courteous installation, prompt attention to correct a detail–what’s not to love? 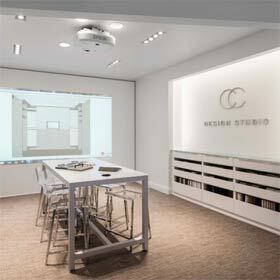 The consultant was friendly knowledgeable and used a fantastic software system to modify our plans in seconds. 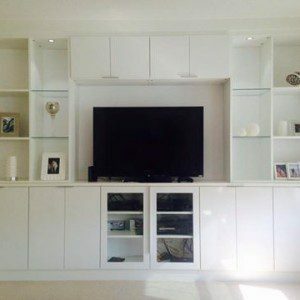 The installation team was professional timely stayed in communication with us and were great to work with. The finished product is better than we had ever imagined. Thrilled with the results! 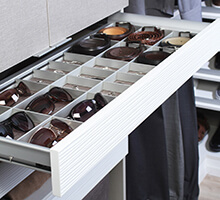 The professional way your consultant came up with the right design for my closet. Also the computer aided design used to show me exactly what the finished product would look like and when finished – it did! Everything was outlined with great detail and proceeded according to plan. 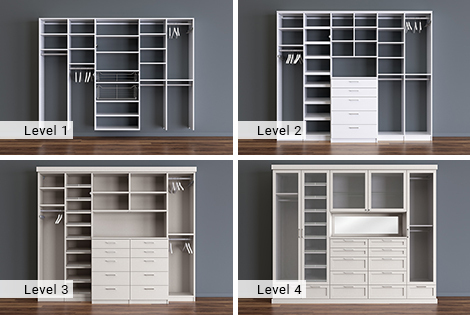 We will be using California Closets in the near future with a custom design and installation. Thanks. California Closets has multiplied my space tremendously in my 1940’s home. I feel so much more organized and happy to discover new outfit ideas now that I can actually see what I have! Not only do I love it but it will also increase my home value. 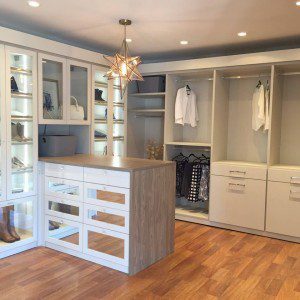 Love California Closets! 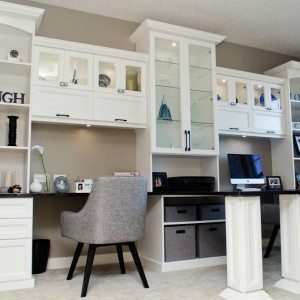 The designer had great ideas and solutions to my unique closet needs. The installer was prompt friendly and knowledgeable. The product itself is beautiful and functional and has made my closet into a dream instead of the nightmare it was. Thanks California Closets! I would recommend you all to anyone. I loved our experience from the beginning to the very end. Our design consultant was incredibly nice walked through our new home and spent a lot of time with us going through options and didn’t make us feel rushed for a second. The closet looks absolutely AMAZING and I can’t stop talking about it to everyone ! From our designer to the install crew everyone was extremely professional and the product is top-notch. The impact to our home is huge – and we have added so much space! 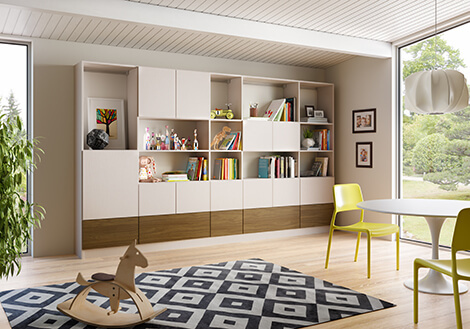 California Closets Central Illinois has created custom furniture and storage solutions for the area for more than three decades. 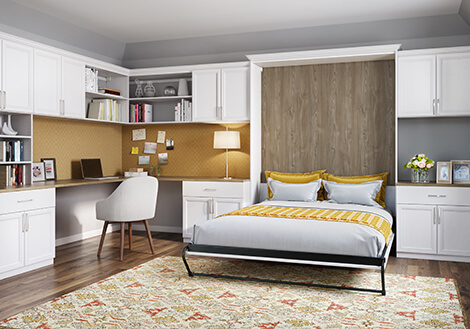 Since 2010, Charlie Meyer and Mark Riggle have co-owned California Closets Central Illinois, and have led it to be well known for its high-quality products and impeccable customer service. 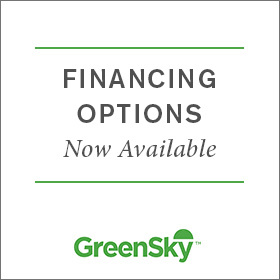 California Closets Central Illinois has partnered with GreenSky to help make getting organized easier. Our new VR technology will offer a new and more personalized way for our clients to ‘step inside’ and envision design projects in their home. 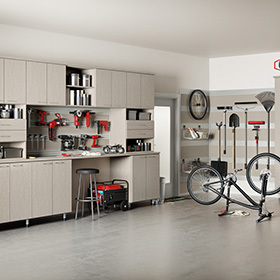 When cleared and organized, the garage is actually a vital extension of your home.